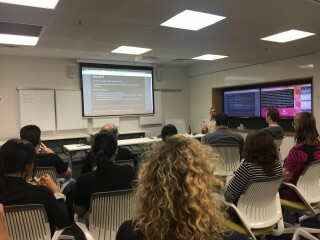 Recently I’ve volunteered to co-ordinate the Brisbane Website Accessibility and Inclusive Design Meetup group. I used to run the Perth chapter, which was a fantastic experience, so when the Brisbane slot became available, I hoped I could use some of my experience the Perth group to help grow the Brisbane community. 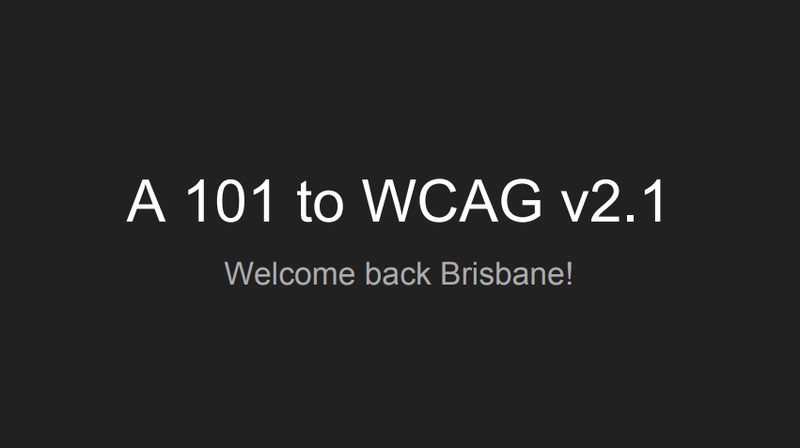 After a long hiatus, we held our first Meetup in almost 1.5 years on Thursday 7th September, where I gave an overview about the changes in WCAG v2.1 (Website Content Accessibility Guidelines) compared to v2.0. 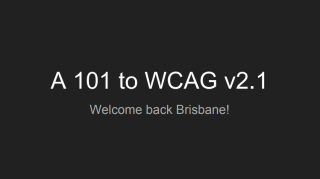 The WCAG are part of a series of web accessibility guidelines published by the Web Accessibility Initiative (WAI) of the World Wide Web Consortium (W3C), the main international standards organization for the Internet, and they’re the standards we work towards to make websites more accessible primarily for people with disabilities – but also for user agents and devices like mobile phones. In short, WCAG 2.1 hasn’t changed a whole lot, with 3 new guidelines (2.5, 2.6 and 2.7), 4 new success criteria for Level A compliance, 9 new success criteria for Level AA, and two new criteria for AAA. I should say, this is all based on the draft guideline released in August 2017, so the numbers may well change with future drafts. Version 2.1 isn’t really a whole different, despite the 10 years between versions. 2.1 really aims to fill some gaps in the standard, rather than re-imagine website content accessibility; so will be interesting to see how that evolves and if Version 3.0 is around the corner that may incorporate more WAI-ARIA (Web Accessibility Initiative – Accessible Rich Internet Applications) suggestions. If you’re going to talk accessibility – may as well make your presentation accessible too! If you’d like to grab a copy of my presentation, I’ve exported it a PDF and you can get plain text accessible version of the presentation from my website. This will explain more details about the changes. A big thanks goes to our hosts the Console Group, who provided a venue, drinks and food, and organised live captioning for the event. The Meetup will be monthly, and we’re already planning October’s event – get in touch with me directly if you’d like to know more!